Over the past six months something special happened at VGCC which saw one man’s vision of a Vauxhall Memories timebank come to fruition. The idea was born of Bob Henderson’s idea to gather memories of local residents and VGCC members about the area we live in. How it is today and how it has changed. 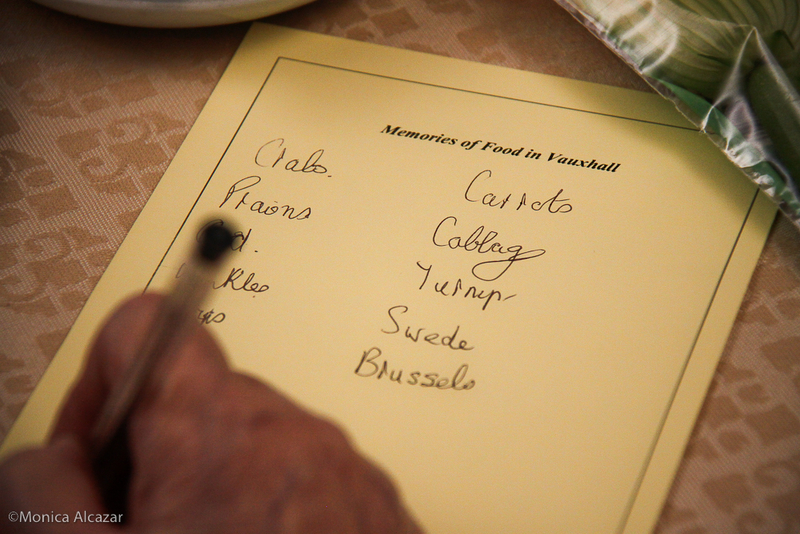 With the help of funding from Covent Garden Market Authority, the Vauxhall Memories Project was born. Three teas, one supperbox feast and a screening were the core events but the project was so much more than this. It also saw the community centre groups come together, and reach out to local groups, clubs and organisations, forging partnerships and making new friends along the way. The three teas proved a hit with guests and volunteers alike, with delicious cakes and sandwiches made by Margarete Baur and the Spring Café as well as guest chefs the Teahouse Theatre who came with exotic teas for everyone to try. Each event featured a guest speaker, Hannah from Vauxhall City Farm, Helen from CGMA and Harry from the Teahouse Theatre. The Christmas Supperbox Feast on 10 December saw 30-plus guests sit down to a festive three course meal cooked by Michele Daragh Osborne of Bonnington Café fame while the Portuguese Dance club and guest bands The Fir Cones and Emrys provided after dinner entertainment. To record the memories and provide a lasting legacy, artist and documentary maker Monica Alcazar filmed the events which has resulted in a fascinating short film now available to see on VGCC’s website and on DVD. Thanks to everyone for their time and efforts in making the project the success it was; it couldn’t have happened with the generosity of those involved who donated their time.